The Hofwaffenfabrikant Friedrich Jacob Bartels was located at Bahnhofstrasse 5, Wiesbaden, in 1896. In 1910 his address was Bahnhofstrasse 10. 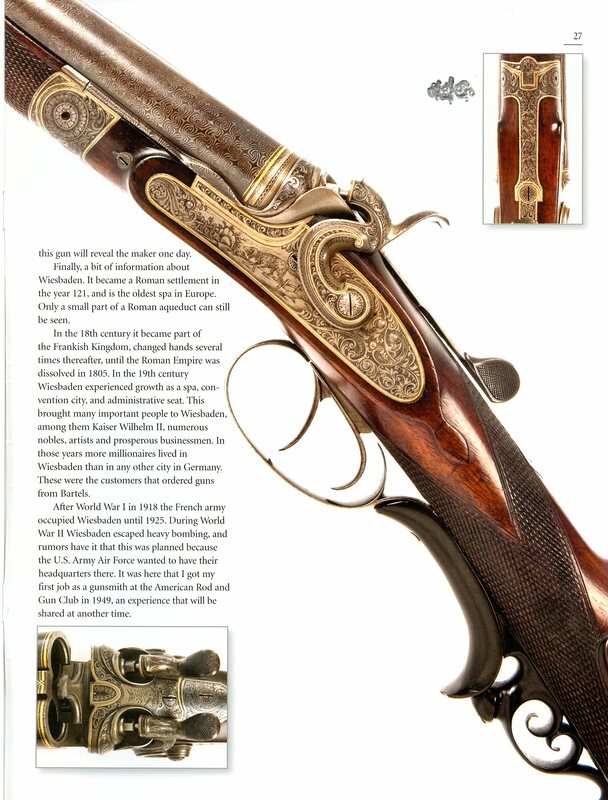 So far as is known, all Bartels guns were made in the Suhl and Zella/Mehlis area either in Bartels’ shop or by gun makers who contracted to make guns marked as Bartels. 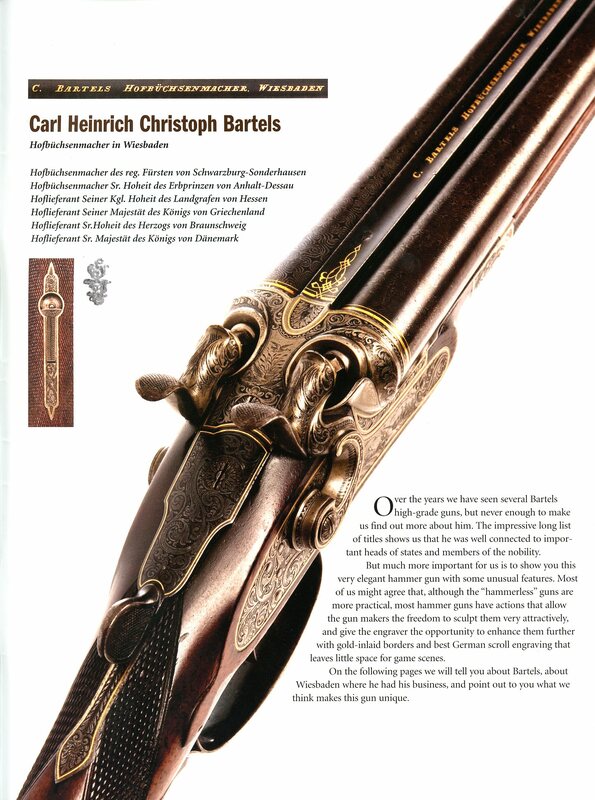 From 1889 to 1899 Hermann Weihrauch ran the Bartels shop in Zella St.Blasi (later Zella-Mehlis). 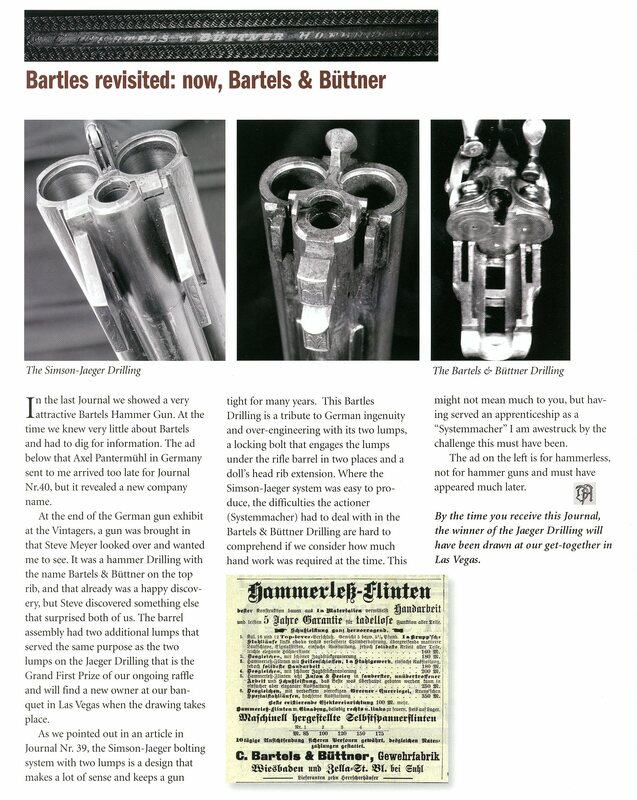 1840-1908, originally from Hanover, Germany. 1866 partner in the gun retail business F. Weigand, Kirchhofgasse 6. From 1877 Hoflieferant S. Kgl. Hoheit des Landgrafen von Hessen, Sr.Majestaet the King of Denmark, Sr Majestät the King of Greece and Sr. Hoheit the Duke of Braunschweig. 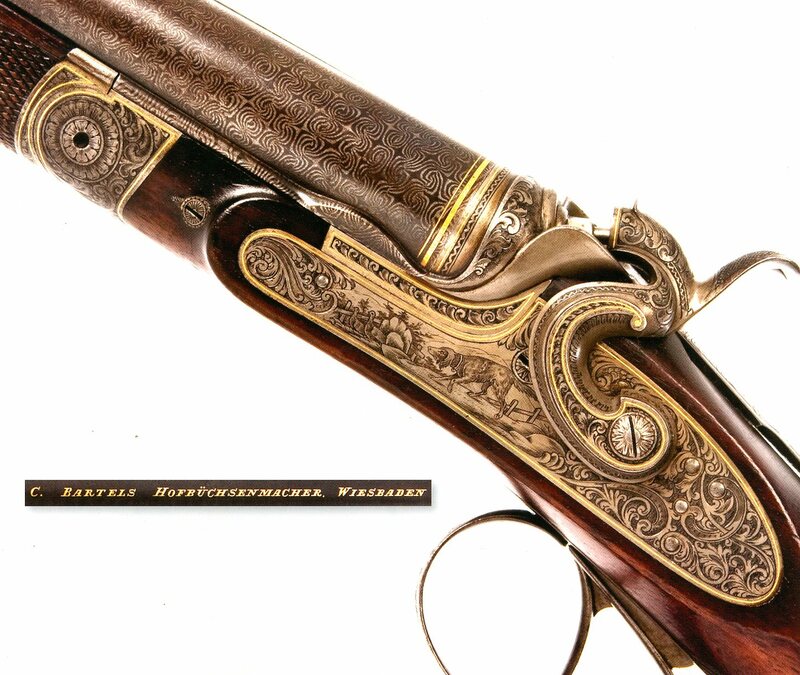 From 1899 he also had the title: Gunmaker to the Court Sr Durchlaucht des reg. Fürsten von Schwarzburg-Sonderhausen and Sr Hoheit des Erbprinzen von Anhalt-Dessau. He is listed as a pensioner in 1908. He most likely ran a shop or business in Zella, because he signs “in Wiesbaden & Zella”. Hermann Weihrauch, who later founded his own company (HWZ), was in charge of this shop from 1889 to 1899. 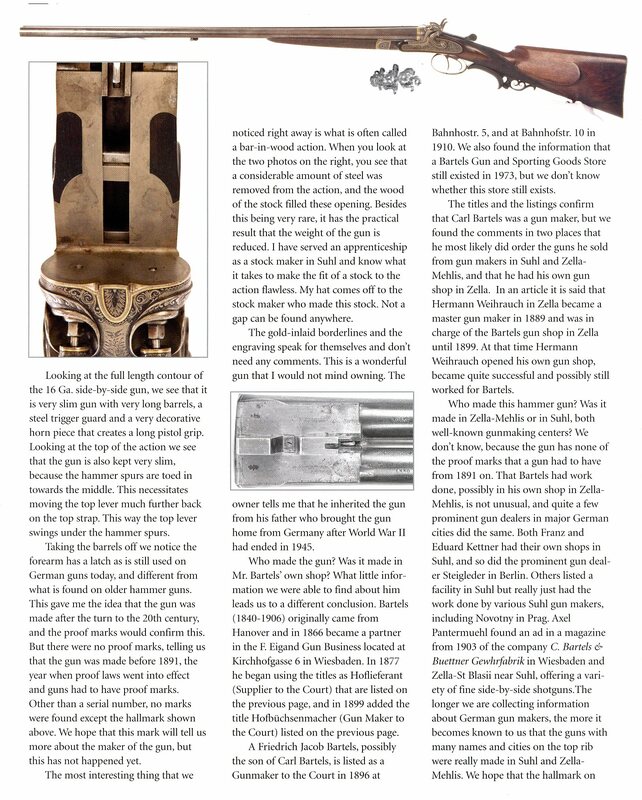 The following article appeared in Journal Nr.40, and can be ordered from the Germanic Gun Collectors Association.